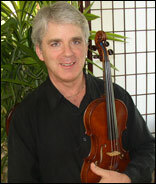 This site exists to give parents of young children some insight, information and overview of the Suzuki Violin Method. I will also compare this method of instruction with traditional violin instruction. I will first present a brief overview of the Suzuki Method. I had one year of Suzuki violin pedagogy instruction at the University of Minnesota in the 1992-1993 school year. Mark Bjork was the instructor. Suzuki Violin School books one through four was taught in this class. During this time I logged 120 hours of Suzuki lesson observations, both private and group classes. My observations took place at MacPhail School of Music in Minneapolis, MN. I then taught Suzuki violin lessons at the Minnesota Valley School of Music from 1998 to 2008. During this time, I taught private and group Suzuki violin lessons. I have been a professional violinist since 1973. Anyone considering enrolling their child in this music instruction method is strongly encouraged to read the book “Nurtured by Love” by Shinichi Suzuki, founder of the world famous talent education school. This book presents the philosophy and principles of Suzuki’s teaching methods for developing the natural abilities of every child. The Suzuki violin method entails an awesome amount of parental involvement over the course of years of the student’s musical development. With this method, it is best if the primary parent takes violin lessons along with his or her child. One year of lessons is best. This way, the parent learns the rudiments of violin playing, as well as how to instruct the child during home practice sessions. In essence, the parent becomes the violin teacher during home practice sessions, when the child is not at the violin lesson. Having a primary parent involved with the child means that one parent will be involved more than the other in the process of learning the violin. This is by necessity, because having two parents heavily involved in this process is not feasible because of time and resource constraints. This will enable that parent to create an environment where music learning can flourish. A home filled with music will expedite this process. For the parent of a Suzuki violin student, playing the Suzuki recordings in the house is critically important for the child’s musical development. This cannot be overemphasized. The more the student is exposed to these recordings, the faster will be the musical development. It’s an amazing thing, and it works as advertised. The philosophy behind this aural immersion is stunning in its simplicity and brilliance. This philosophy can be summed up by a simple statement: all children learn to speak their native language simply by listening to it. One would think that a child would grow tired of hearing the same recording dozens or hundreds of times over the course of a month or so, but the opposite is true. The children love listening to the recordings. By repeated listening the youngsters learn the melodies and gain a wonderful musical sixth sense so to speak. It really works. Two lessons per week are mandated. A parent attends both lessons and takes notes. One is a private lesson, usually 30 minutes long, and the other is an hour long group lesson. This group lesson concept for young children is unique to the Suzuki violin method. It’s a core concept and it serves many purposes. One of the purposes is motivation. Children are social creatures and they love to interact with their peers. The group lesson provides a format for this to happen. With the group lesson, faster learners perform with slower learners, and everyone benefits from this interplay. A good instructor utilizes many games and different performance situations to entertain and educate young violinists. It can be a delight for a parent to observe a skillful group instructor. For people who don’t have a large amount of time and energy to invest in violin instruction for their son or daughter, a good alternative would be traditional violin instruction. It is my purpose of this overview to compare traditional violin lessons with Suzuki violin lessons. We’ll look at some of the similarities and the differences of the two methods. The Suzuki violin method is a relatively recent innovation in music education. Traditional violin instruction is not necessarily a standardized procedure, since each instructor will have a different approach to this teaching process. This learning process consists of hundreds of variants determined by various educators and the needs of each student. The traditional violin instruction methods evolved by teachers down through the centuries have obviously worked for thousands of excellent musicians. Early childhood Suzuki education is exemplified by the concept of repetition of many easily accomplished steps. Each new concept or technique is only introduced once the student has mastered all previously introduced techniques. At this point in the overview I want to touch on one important aspect of violin instruction and playing: Teaching note reading. Dr. Suzuki has said that note reading should be introduced once the student has reached the Vivaldi A Minor violin Concerto. This piece is found in the middle of book 4 of the Suzuki violin method books. It should be mentioned that some teachers believe that music reading needs to be introduced to the Suzuki violin student at a much earlier stage. My own experience leads me to agree. I believe that waiting too long to introduce music notation to the student can lead to a very frustrated student. This can be avoided. My thoughts are that note reading skills should be introduced gradually starting at a fairly early stage. When this begins can depend on the age of the student and many other considerations. One important factor in determining when to introduce this is how well the child plays. A student that is struggling with the rudiments of playing with good tone and intonation is not a good candidate to begin note reading. Be sure and talk with the teacher about this so that you're both on the same page regarding this important aspect of music instruction. It is my hope that this information is helpful to any parent considering violin lessons for their child. In any music lesson program, the importance of a good instructor is paramount. Do your research well and decide which method best fits your lifestyle, budget and expectations. Suzuki lessons will usually be more expensive than traditional lessons. There are teachers that are combining elements of Suzuki violin lessons with traditional lessons. Many string teachers like the way the Suzuki repertoire is structured and graded. For this reason, this material is widely used by traditional string teachers of beginning through advanced students. The best string instrument teachers will recognize the strengths and weaknesses of each individual student, and tailor the individual instruction accordingly.